“Why has there never been a Leeds book festival?” Was the question asked by Leeds author Anthony Clavane at one of his events in 2011, and echoed by many others. 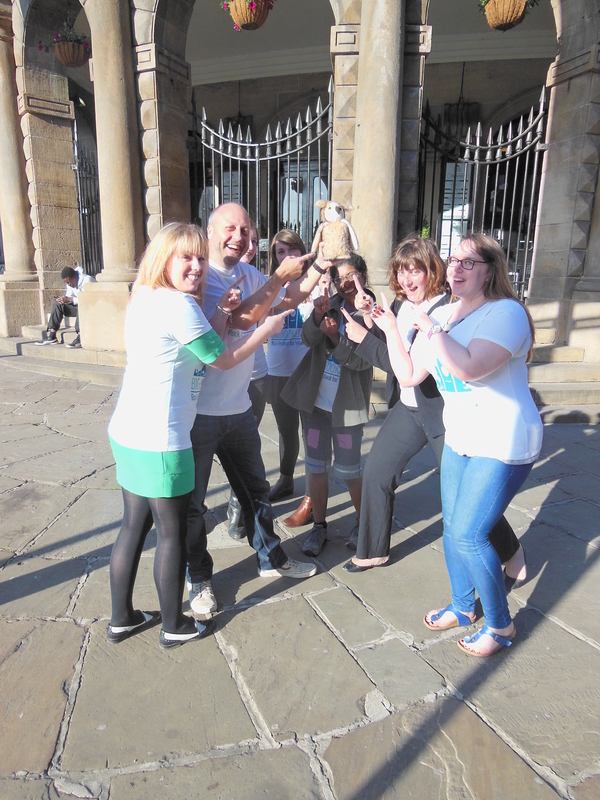 Several of the now Big Bookend team were at that event and were inspired to take up the challenge and try to bring such a festival to Leeds. In 2012 we did just that. Over 400 people came to see 15 authors talk about their lives, experiences and passion for the written and spoken word. In June 2013, our Rock Festival for Words was bigger and better. We had writers, poets, authors, story tellers and performers taking part in the festival in different venues across Leeds, with over 600 people attending our events. Our aim has always been to celebrate Leeds’ rich literary heritage and to inspire the next generation. 2013 saw the UK’s greatest poet Tony Harrison headlining the Big Bookend ably supported by the very talented Leeds Young Authors. Our LS13 writing competition unearthed 20 of the best writers in Leeds under the age of 40 and produced an anthology of writing that is a snapshot of the city’s writing talent. In 2014, for the first time ever, we received Arts Council funding which enabled us to provide not only a main programme but more events for children and a programme aimed specifically at young people. We had over 60 writers, authors, poets, performers and artists taking part and we attracted nearly 1500 people to the festival. Our head line author was the legendary Alan Bennett. June 2015 saw us mapping Leeds. There were inner journeys to explore; there was an A-Z of Leeds’ people and places; there were literary rambles to take; and we looked outwards. There’s a round up here. We launched our children’s and young adults’ writing competition on the theme of WW1 . You can read the winning entries: 12-16 year category; 7-11 year category. In November we had a very successful Children’s Festival Day at the Royal Armouries. Our Flickr page has some brilliant photos of our year’s work. In June 2016 our festival crossed City Limits and we launched the first ever Northern Short Story Festival. We also had a very successful Children’s Festival Day, A Passport to Leeds, in November at the Carriageworks Theatre. 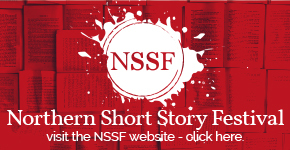 2017 and 2018 saw a host of pop up events and the Northern Short Story Festival has continued to grow from strength to strength. Read more here. If you were one of those who came along to any of our events, thank you. 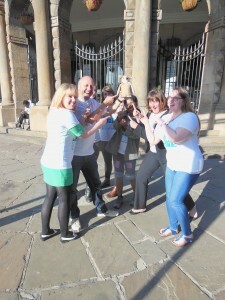 We hope you have great memories and will continue to support the work of the Leeds Big Bookend. 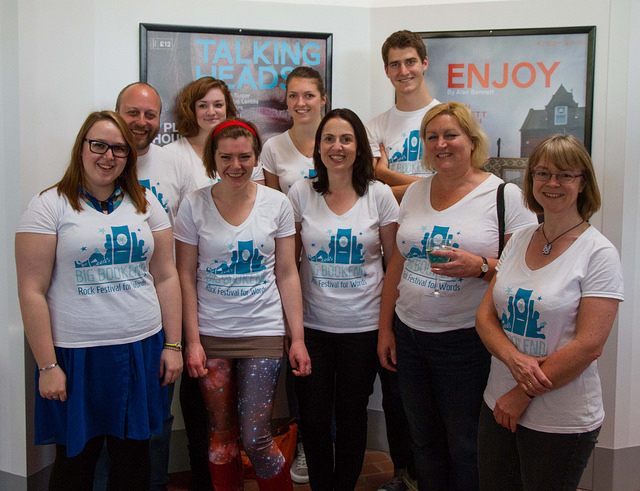 The Big Bookend team are all volunteers. The Big Bookend is a non profit making company limited by guarantee with charitable objectives. Any extra money generated from the Big Bookend is put straight back into the fund and used for Big Bookend events. If you think you can help us in any way, please get in contact. We’d love to hear from you.